Much like most of you, we are suckers for a happy ending, especially when it follows a truly devastating story. 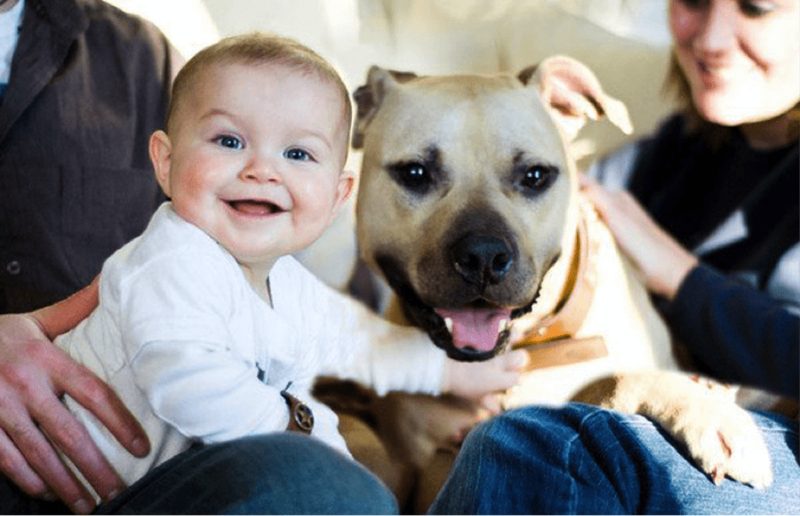 That’s why we were so pleased when we read an article by our friends at Barkpost about the “Vicktory Dogs,” the dogs that were rescued from NFL player Michael Vick’s dog fighting ring. In 2007, after the dogs were discovered at Vick’s home, many people thought that the dogs needed to be put down because they were dangerous creatures. Thankfully, individuals and organizations like the Best Friends Animal Sanctuary stepped in and spoke on behalf of the dogs. In fact, they took in 22 of the dogs and introduced them into better lives. Now with a little bit of much-needed love and affection, the dogs are doing better than ever. Here are a few of the highlights: Cherry, one of the dogs, found himself on the TV show “Dogtown” and is enjoying the benefits of being an Internet celebrity. Handsome Dan, another one of the dogs was adopted by a family and even enjoys spending time and looking after his new baby (human) sister! The rest of the dogs are leading equally fulfilling and happy lives. The resilient spirit that these dogs have is really amazing. It really is an inspiration to all of us. Read all of these amazing stories here.